~30% of our membership consists of MD-PhD students who matriculated into the highly competitive Medical Scientist Training Program. Alana practiced as an attorney before making a career change to medicine. Her law background has informed her interests in health policy. She gave birth to twin girls 5 weeks before her first year of medical school and has managed to thrive as a student, wife, and mother to 2 animated toddlers. 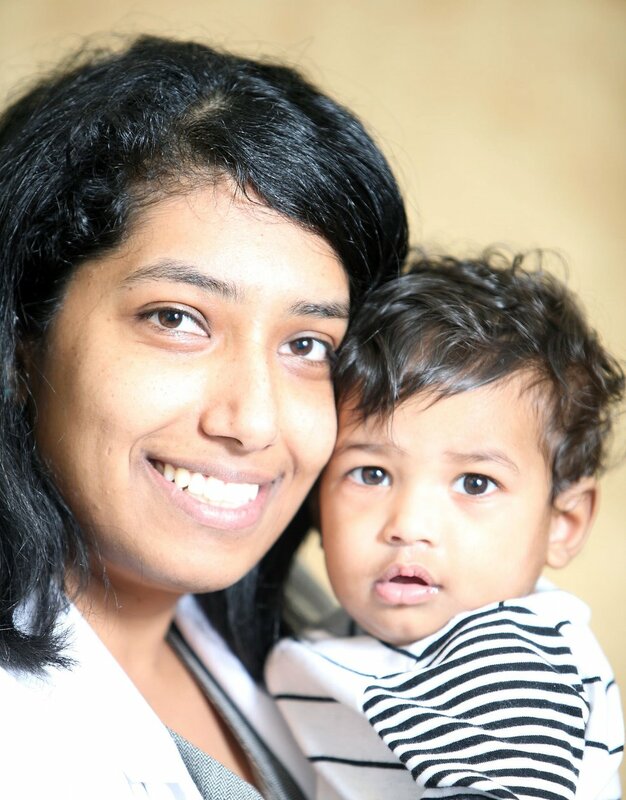 Poojitha earned her PhD in Epidemiology from Johns Hopkins University, the #1 public health graduate program in the U.S., concentrating on Genetic Epidemiology. She seeks to integrate both her medical and public health training as a future physician scientist. She also balances marriage, motherhood, and medical school.